We’re getting a couple of new pages done for the site but in the meantime, while I am still learning how to make it look nice, I thought I’d let you all see what you’re getting in your boxes. 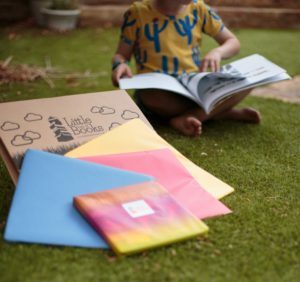 Two, three or four beautifully hand-wrapped books, depending on the gift or subscription package that has been chosen. Wrapped and ready if you choose to regift any of your books! Reading record to track reading progress. Puzzles and activities designed to enhance your reading experience. 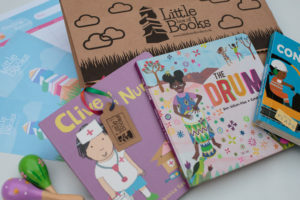 The books have been selected through our network of experts to create a bookshelf for your little one that will feature stories and picture books from different cultures, with a range of protagonists. This diversity will include characters who are disabled, from different cultures with different skin colours, from a diverse range of socioeconomic backgrounds and family set ups. For the littlest ones the books, will help children to see their own lives and stay as open minded as possible from an early age. The pictures and stories will help them develop a realistic understanding about the world around them. 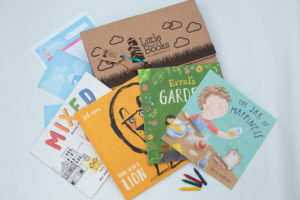 For older children, we hope these excellent stories will start great discussions and conversations helping them to understand a range of people, relationships and cultures, maybe before they’ve even encountered difference in real life. Our books gently steer clear of heavily gendering professions, hobbies or lifestyles or making assumptions about relationships and family set ups. 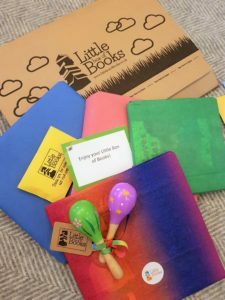 To subscribe go to https://littleboxofbooks.co.uk/subscribe/ and if you have any questions or queries, please drop us an email at info@littleboxofbooks.co.uk and we will do our best to help you out.